Sydney to Jervis Bay Trip Planner, and go visit the dolphins! Travelwheels Campervan Hire love the dolphins at Jervis Bay! It’s about a 3 hour drive from Sydney to Jervis Bay and the perfect getaway for a mini campervan hire trip! 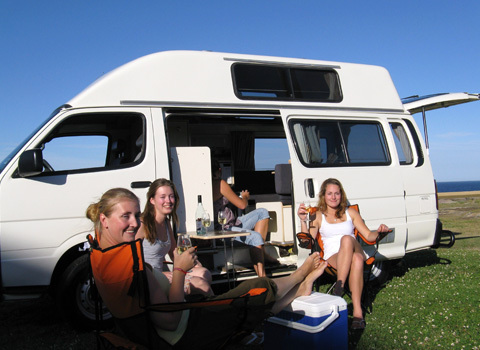 Call Travelwheels Campervan Hire Australia team on 0412766616 for our best deals on Jervis Bay Campervan hire Specials. Wir spechen deutsch and nous parlons Français ici. Sydney to Jervis Bay is a great campervan hire trip! 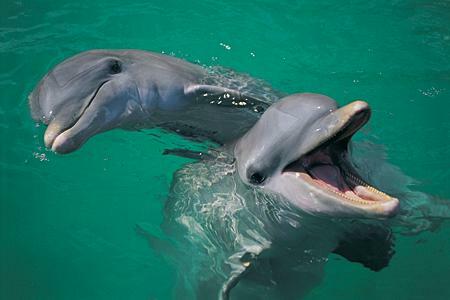 You will be excited to know that Jervis Bay has a resident pod of 80 playful dolphins that live in the Bay! How about several mobs of friendly wild kangaroos, penguins, or even whales! How about the beach with the whitest sand in the world? Jervis Bay is fast becoming the whale watching capital of NSW! It is now getting ready to challenge Hervey Bay as the premier place in Australia to watch whales! If you are searching for driving directions for Sydney to Jervis Bay, we have them! Below is the travelwheels suggested itinerary you might like to follow when planning your trip from Sydney to Jervis Bay. Remember if you need a campervan for your trip, you can check out great deals on Sydney Campervan Hire here. Here is the travelwheels Sydney to Jervis Bay Trip planner and driving directions. You can do Sydney to Jervis Bay in a day, but it is a very long day! You will miss out on lots of great little places and many free things to do! Our suggestion is to go via the coastal road from Sydney to Jervis Bay instead. This is a lovely way to start your trip in a relaxed way. You will see lots of stuff for free whilst everyone else speeds down the Hume Highway! Here are our suggestions for the trip from Sydney to Jervis Bay. Leave Sydney early to miss the rush hour traffic or go after 10am. Loads of great things to see from Sydney to Jervis Bay. Botany Bay and the Royal National Park. This is where Captain Cook first landed in Australia. This is the home to Australia’s first national park, the Royal National Park. Why not jump out of the campervan (instead of whizzing past) and explore this magical place. Stanwell Park is the first of several pretty coastal towns south of the Royal National Park. It’s a popular beach for surfing and picnics and is very famous for hang gliding! If you don’t fancy having a go at hang gliding, you can watch them launch off the cliffs! Check out all the action and the panoramic views from Bald Hill Lookout. Visit Koalas, Wildlife Parks and Buddhist Temples! Nam Tien Temple – Further down the coast you will pass the Nan Tien Temple. It is known as “Southern Paradise” which is the largest Buddhist temple in the Southern Hemisphere. Kiama Blowhole – How about making a detour and stopping at the Kiama Blowhole? It was discovered over 100 years by George Bass. He anchored his whale boat in Kiama harbour back in December 1797 and discovered it! Over 700,000 people visit the blow hole every year! Why not stop off yourself and see if you can get wet seeing the blowhole erupting high up into the sky! Berry – know as town of ‘trees’. A great place to stop for mid morning tea is in the historic town called Berry It is set amongst rolling green hills with the backdrop of the stunning Cambewarra range. Berry is famous for its cafes, antiques and boutique shopping. It’s a great place to stop for an hour or four and chill out before all the excitement begins! Jervis Bay – The next stop is the jewel in the crown, Jervis Bay. This is when the fun begins and your chance to see the dolphins and the beautiful beaches up close. Dolphin watch tours start from approximately $30 for a two hour boat trip. NOTE – most of the dolphin boat tours start between 10am and 1pm. If you are leaving Sydney on a daytrip you will need to leave about 7am! This will just about give you enough time to catch the dolphin tour boats from Huskisson. Sydney to Jervis Bay Return Trip – After your dolphin boat tour, you have a number of options for your return trip to Sydney. If time is tight, then head back to Sydney, but you will be disapointed as there is so much to see. Travelwheels Campervan Hire staff prefer to take the scenic route back to Sydney. Why not drive through the lush Cambewarra Mountains and explore Kangaroo Valley on your way back to Sydney. This is lovely drive and you get a chance to see some waterfalls and is a more chilled out way to return to Sydney. If you have more time, then there are so many great things to do on the drive down from Sydney to Jervis Bay. Below are a few suggestions from the Travelwheels team. Fancy visiting a national park with rugged cliffs facing the sea, and is only a few hours away from Sydney? Well then pay Booderee National Park a visit for fantastic white sandy beaches, and crystal clear waters. There are lots of free things to do such as snorkelling in the park! If you are lucky you might even see some of the famous marine life such as Sting Rays and Dolphins. There is even a Penguin Colony near Bowen Island. Read the reviews of Booderee National Park on Trip Advisor and see why it is so popular! On the ways down from Sydney to Jervis Bay, why not stop at this amazing beach. Hyams Beach is in the Guinness Book of Records as having the whitest sand in the world! The bay is at least six times bigger in volume and four times bigger in area than Sydney Harbour! After your Sydney to Jervis Bay adventure, it will be time to head back to Sydney. A lot of people head back along the main highway, but at travelwheels campervans we prefer to drive via Kangaroo Valley. This is the known as the scenic route back to Sydney, and well worth exploring in your campervan. Kangaroo Valley is a National Trust-listed village which is nestled between the Cambewarra and Barrengarry mountains. Kangaroo Valley is one of the NSW’s hidden gems with scenic views of the rainforest greens,. It has picturesque mountains, rolling pastures, lush valleys, and the Kangaroo River all to explore. Here is a list of some of the things you can do when you drive via Kangaroo Valley back to Sydney. Visit 3 waterfalls: Carrington Falls, Belmore Falls and Fitzroy Falls. Here is a link to a lovely walk to visit some of these falls – visit Belmore Falls Walk. Check out the view at Hindmarsh Lookout and Mannings Lookout. Blog article about visiting Hindmarsh lookout and the surrounding area – another free thing to do! Feeling hungry, then check out Café Bella, Jing Jo Thai! How about the very famous Marrengarry Pie Shop? Why not have a picnic and stop at Fitzroy Falls Visitors Centre to admire the views? Free Kangaroo Valley historic walk to see the heritage buildings, and this is a nice way to chill out before heading back to Sydney. Jervis Bay is a great place to explore with your travelwheels campervan hire van as it’s so close to Sydney. It’s a lovely place to stop on your campervan holiday from Sydney to Melbourne. Feel free to contact travelwheels for helpful advice about planning a campervan hire trip from Sydney to Jervis Bay. Check out our special offers on campervan hire in Australia and we hope you have a fantastic holiday in Australia. If you are looking to visit Jervis Bay, then check out our deals on Campervan Hire Australia Specials. We will beat all competitor quotes for Sydney to Sydney campervan bookings outside of peak xmas period. You can always call our team on 0412766616 for more details on our offers available. Enter your details below to get our lowest rates.